It all started with a cloak. I’ve been doing WOD garrison missions regularly on multiple characters to get the missions for useful stuff, such as loot boxes for transmog items. 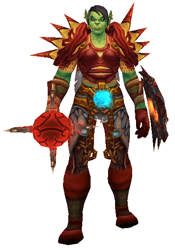 Last week I looted item and loved the vibrancy of the colours so much that I hopped over to Wowhead and popped it into the dressing room app straight away. While the inspiration fell into my lap, finding a set to go with it was not so easy, mind you! 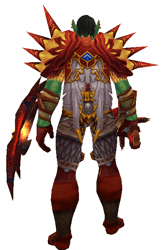 I first tried to match a plate set and finally went for mail set for a Shaman instead. 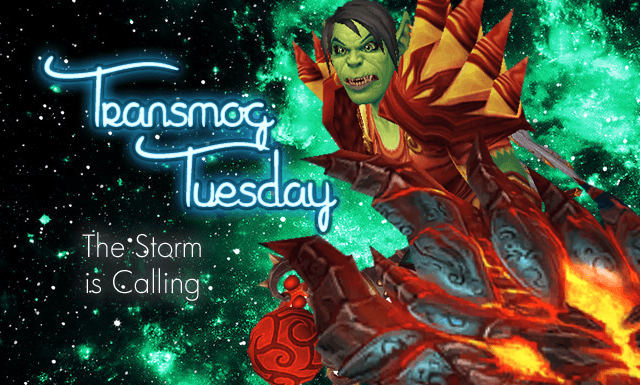 The Storm is Calling is a shaman set based around the Ahn’Qiraj tier set. This does mean you need to do all those annoying quests to get the head and shoulders for this set, and they require Brood of Nozdormu reputation as well. The set features the colours of item; fiery red and gold contrasted against white and vibrant azure blue. There’s blue accents on the kilt (item) and then the belt (item) provides a stunning center piece that finishes the outfit off. More fiery tones in the main hand and shield to match. 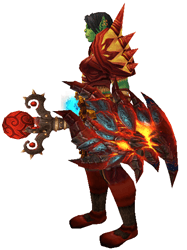 Please note that due to a bug with WoW Model Viewer the images in this post are inaccurate. 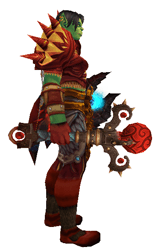 The legs (item) are showing as pants rather than a kilt as seen in the above image from Wowhead’s Dressing Room. I’ve included them because it still gives you an idea of how the rest of the set looks, and also it would be a pretty dull post without some pretty images to split up the text! 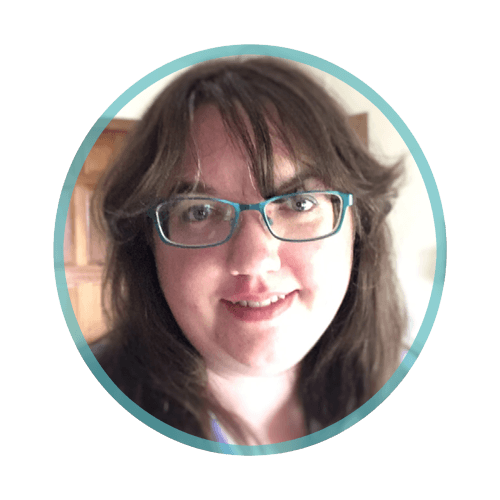 Previous Post: My Fantastic Beauty Surprise!